It’s hard to believe that one week of the Summer holidays has already flown by. We’ve been really busy with days out, trips to the cinema and lot of play time at home. I’m enjoying spending time with my 5 year old and it’s lovely watching him play all day and have fun with his sister. 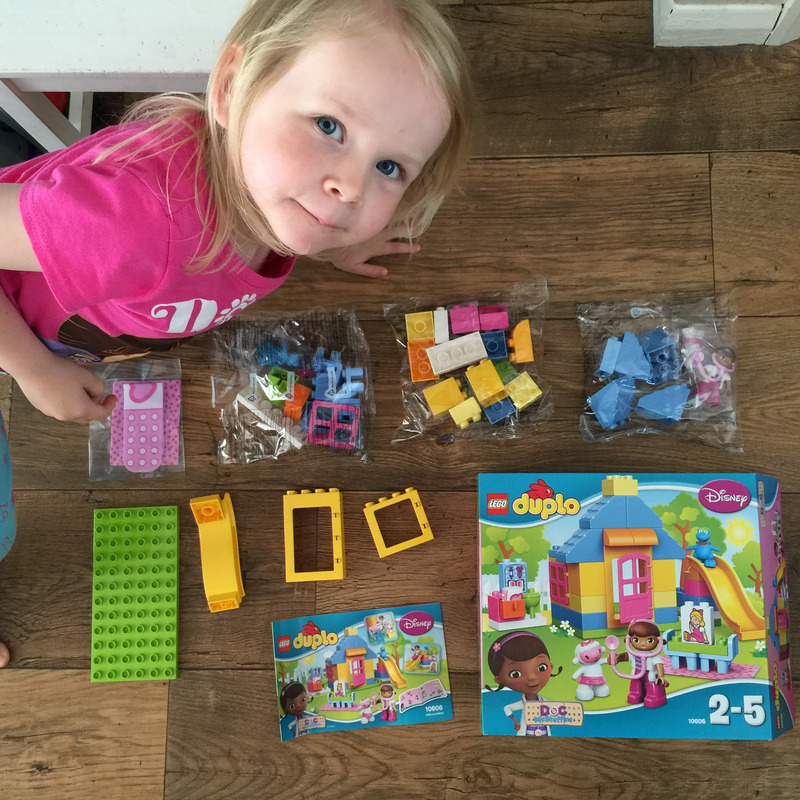 There has been lots of Summer fun with Lego play. We always have our home made Lego table out which acts as a permanent invitation to play. They also have a couple of boxes of Lego and Lego Duplo so it’s their toy of choice. The children were invited to choose a kids toy from House of Fraser and had a really good look through their website, choosing a Lego set each. My 5 year old chose a Lego Race Car set complete with driver and cup. Needless to say he built it in minutes all by himself and has been having races with his other Lego cars. My 3 year old chose the Lego Duplo Doc Mcstuffins Backyard Clinic. She’s been a fan of Doc for a long time but doesn’t have many of her own Lego sets, always playing with her brothers’. She needed help building the Backyard Clinic but it was a good introduction to following instructions and it definitely helped that Doc, Lambie and Stuffy were included. She was able to find the bricks needed in each step and help me put it together. It’s a cute set for any Doc McStuffins fan and the box has a couple of suggestions for different ways to put it together. Some of the picture bricks are really fun, including a poorly Susie Sunshine who you can fix in the Clinic and make better. The set also includes a small pink rug and bandage, great for wrapping up patients! Looks like a fun little set, My little girl is mad on doc at the moment maybe a good idea for a stocking filler! That play set is cool. My kids would so love that as they adore Doc McStuffins. Having kids is great for re-discovering the toys I played with as a child.